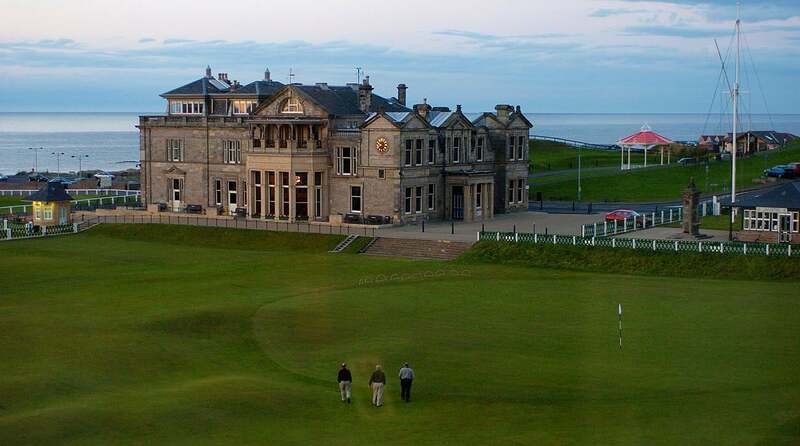 It's hard to top the history behind the Old Course at St. Andrews. This one tipped the scale to Ireland. 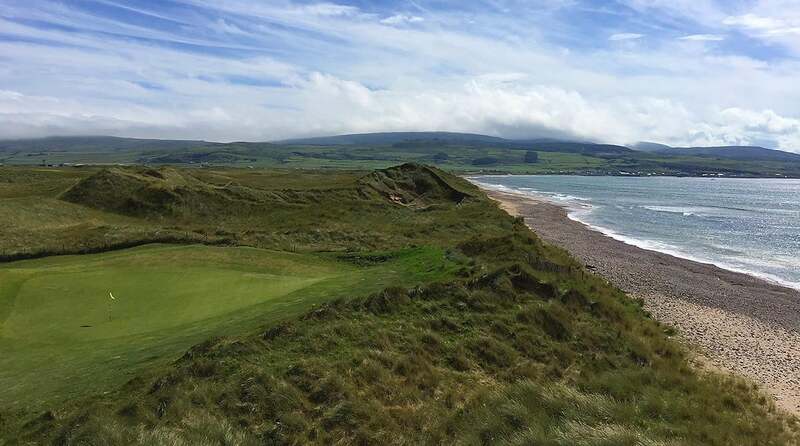 Machrihanish Dunes in Scotland is worth the trip. Carne Golf Links in Northwest Ireland is under-the-radar and certainly dramatic. Hole 8: Golf Quirkiness You travel far to see and play golf you can't find at home, and while Irish courses hold their own eccentricities, the quirks of Cullen and Covesea in Scotland (two short courses played through what feels like an archeological excavation), the Rockies par-three at Anstruther (perhaps the hardest and most preposterous 3-shot hole on the planet), the sliding-into-the-ocean fairways of Stonehaven, or the incomparable twelve-hole layout of Shiskine, a geological wonder of a course that I could go around for the rest of my days, Scotland's golf peculiarities ensure you will return home well-stocked with preposterous stories. 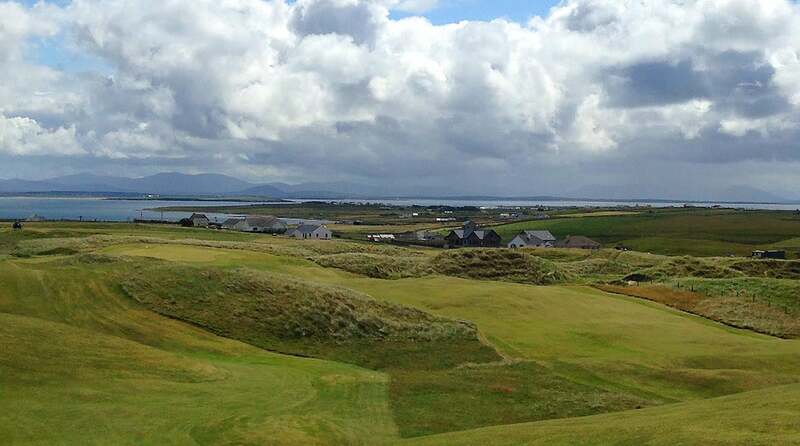 All square Hole 9: Fun They call it the craic in Ireland (pronounced crack, don't feel weird if someone tells you where you can find some), it translates to fun, and it is a word you will hear often and come to know deeply during an Irish golf tour. Scotland is tough to top for a real golf-head, a player passionate about history and course design, or for a student of the finer points of links golf. It's also unbeatable for those who want to avoid the tour bus and golf their brains out. 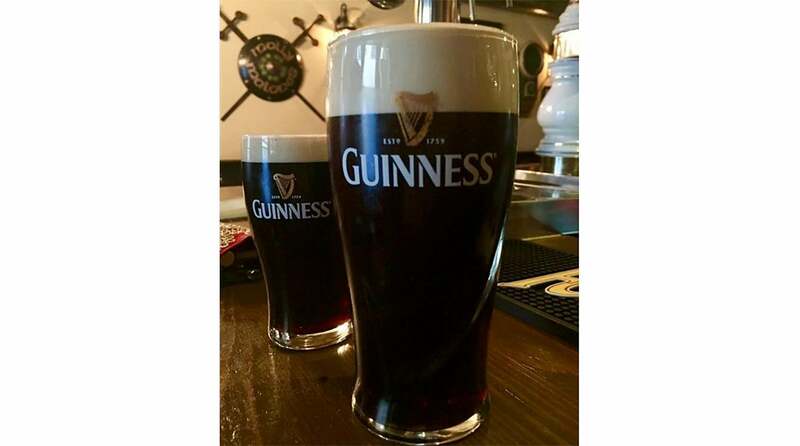 But when it comes to pure fun, craic is an official Irish pastime. They practice the art of simple joys with an air of carefree contentedness that make Irish days feel like gifts, even the rainy ones. (I was going to include weather as a category, but it's too simply a draw, with a daily chance of rain, chance of sun around either coastline.) From the pub jokes to the caddy blarney to the hosts set on sending you home smiling, Ireland gets the nod when it comes to laughs. And as I tend to recall the laughter more than I recall the golf shots, fun seems a fit tiebreaker for this epic golf clash. 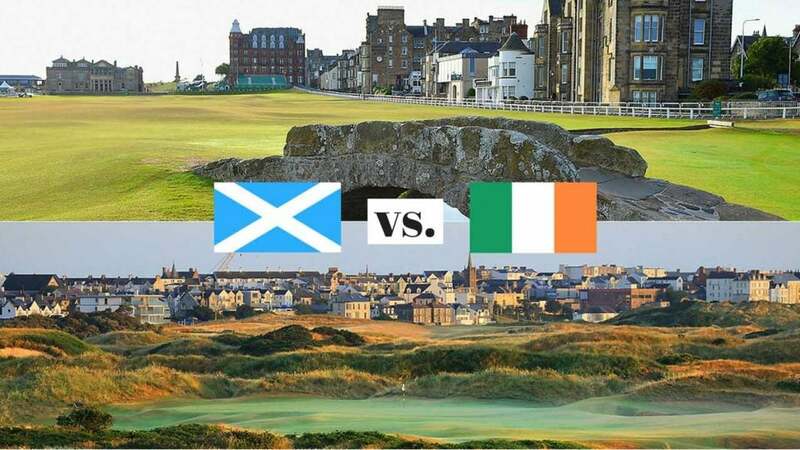 Ireland wins, 1 up A Course Called Scotland is Tom Coyne's fourth book. He lives in Philadelphia with his wife and two daughters, and is an associate professor of English at St. Joseph's University. Learn more about Tom on his website.